Very desirable parcel with easy access and approx. 1,500 feet of frontage on Interstate 10. Contiguous to the east is the Belmont master-planned community. 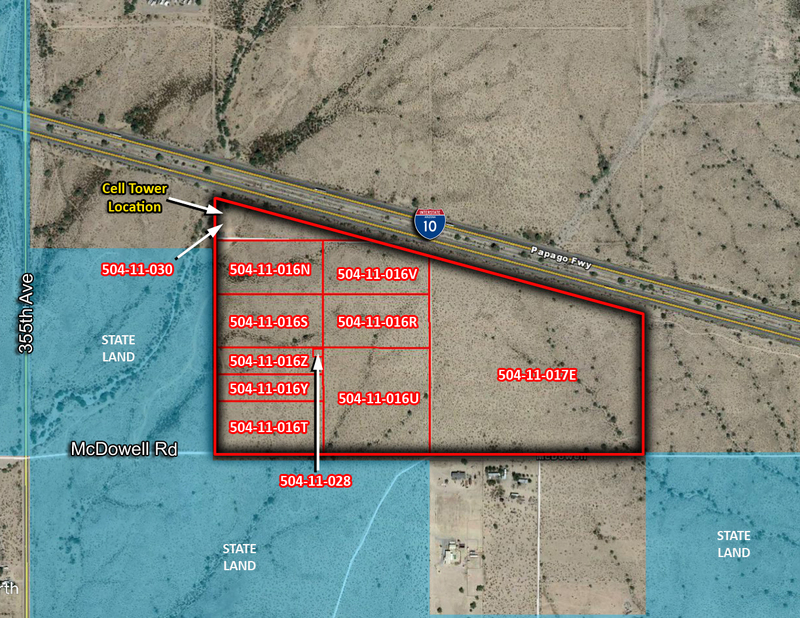 The property is in the center of the future I-11 corridor which will be the connecting route between Mexico and Las Vegas. LOCATION: East of NEC of 355th and McDowell, Tonopah AZ.